This is a running blog but, like myself I imagine most runners have some level of an interest in triathlons. The common element of endurance is what draws me to it, especially to IRONMAN. So when I heard about this new book coming out, IRON WAR written by Matt Fitzgerald I was excited to get my hands on a copy to review. 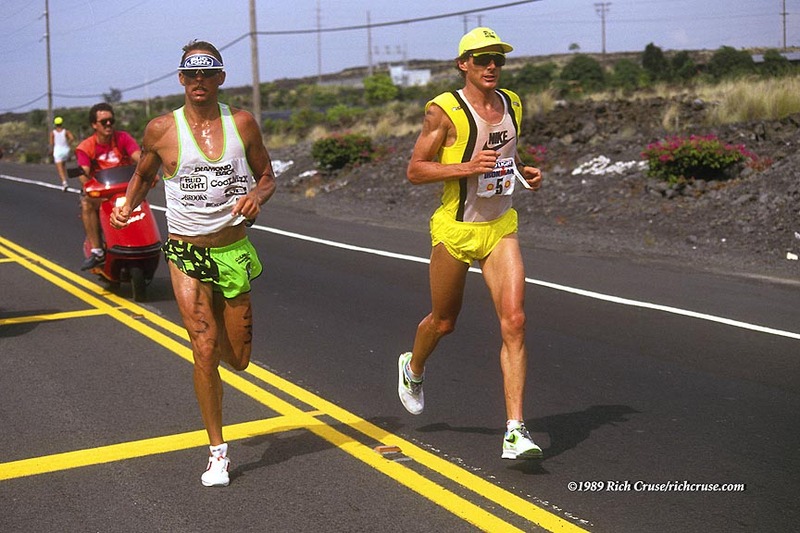 This is the story of the legendary 1989 Ironman World Championship race between Dave Scott and Mark Allen. The book opens up with great detail about Dave and Mark's lives from birth to familial relations to the entrance into the sport as well as great detail about the history of Ironman and triathlon. This part of the book was a bumpy ride for me. Some parts were interesting and I turned the pages quickly while other seemed to be too much info that dragged out. 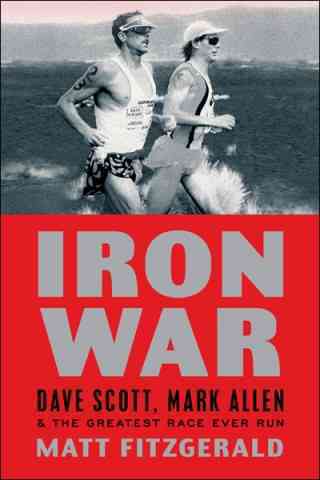 I enjoyed reading about their training anecdotes, individual paths into triathlon and some of the history of the sport. The meat of the book which begins with each athletes arrival and preparation in Kona, Hawaii for the epic race is excellent and the pages started turning quickly. Matt Fitzgerald does an excellent job of bringing to life the scene and vibe in Kona during the Ironman. He connects us with all levels of participants, spectators, race officials, locals and volunteers. I have been to Kona but never during Ironman but I feel as though I have experience it (not the ironman just the race week festivities!). If you have ever been in a race you will connect with this portion of the book. From pre-race Kona, Fitzgerald takes us into the science lab with a surprisingly great chapter, Iron Will, which is focused on exercise science. I had an "uh-oh" feeling as I moved into this chapter thinking that things were about to slow down (reading wise) again but alas they did not. Being a long distance runner, I found this chapter very interesting and enjoyed deepening my knowledge of the body and mind. Finally, BOOM! The cannon goes off and we are racing. I couldn't put the book down from here on out. Similar to an endurance race, this book was filled with highs and lows... and similar to a great race the highs outweighed the lows. Whether you are a runner, a couch potato, a rookie to all of this racing stuff, this book will inspire you to train hard and race harder. Bravo Iron War and Matt Fitzgerald!